Renowned video game voice actor Troy Baker, of The Last of Us and pretty much every video game made in the last few years, has spoken out in support of his latest co-star in Metal Gear Solid V: The Phantom Pain, Kiefer Sutherland. 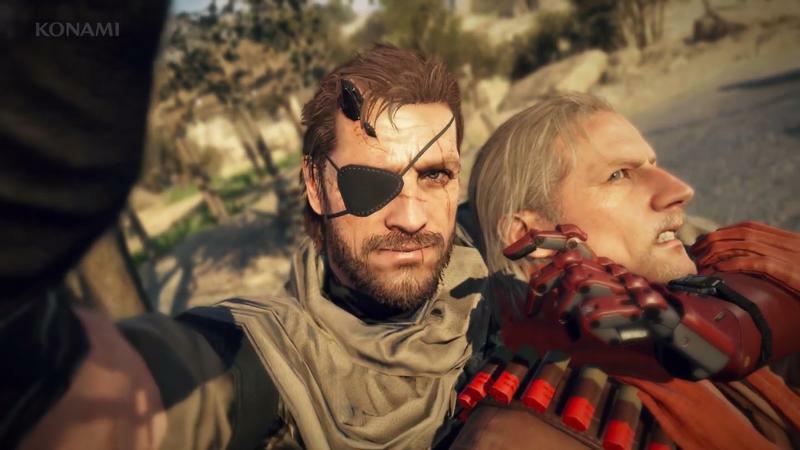 Last year, the Metal Gear Solid community had a freak out when Konami announced that longtime voice actor David Hayter had been replaced by Kiefer Sutherland to play the role of Snake. Director Hideo Kojima explained that this was done because the advancement of motion capture and the evolution of the character, but many did not buy the excuse, pointing towards the appeal of Hollywood stars for revenue and the game's Japanese voice actor not changing. Troy Baker, who plays Revolver Ocelot in The Phantom Pain, sees Sutherland differently than the fanbase and has asked for them to "reserve judgement" until they play the game. During his panel at Indy PopCon, Baker said Sutherland "knocked it out of the freaking park. He came in and he put the work in." "I love David Hayter, I love David, he's a good dude and he's Snake, but so is Kiefer. And that guy showed up, rolled up his sleeves and got dirty on this game. So reserve judgement until you play it. You only have like two more months left and trust me it'll be worth it." Fair enough. Fanbases are very reluctant to change, but if he's as good as Baker sets him up to be, I'll bite. Luckily for Sutherland, he'll be getting off a little easy in the build-up for Metal Gear Solid V: The Phantom Pain. Anxiety over David Hayter's replacement seems to have taken a major backseat to anxiety over the future of the series in general and the next step for Hideo Kojima if he is no longer at Konami. At this point, I think fans would take another Sutherland outing if it meant the series could continue as it has been. Baker could not comment on the relationship between Kojima and Konami. "I don't know what's going on at Konami, but I love Kojima, and I love him as a dude. I respect him as a game maker, as really one of the first cinematic game makers that we had, someone that really understood in a very Sergio Leone spaghetti western way of making film in a game, and for giving us one of the greatest video game characters ever in the multiple iterations of Snake." Metal Gear Solid V: The Phantom Pain will be release on Sept. 1 for the Xbox 360, Xbox One, PlayStation 3 and PlayStation 4.